According to the Daily Racing Form, last year's Breeders' Cup Classic champion Mucho Macho Man remains in light training at Gulfstream Park after being diagnosed with bruising of the ankles. The 6-year-old son of Macho Uno has not raced since his fourth-place effort in the Grade 1 Santa Anita Handicap on March 8. Before that, he was a dominant 14-length winner of the Sunshine Millions Classic at Gulfstream Park in January. 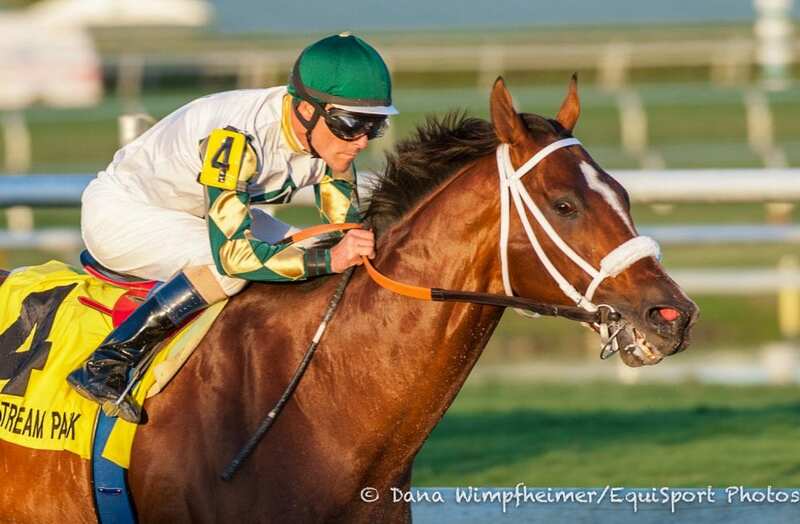 If Mucho Macho Man receives a clean bill of health in July, Ritvo stated that the main goal for the year is to get back to Santa Anita to defend their Breeders' Cup Classic title. This entry was posted in Racing and tagged bruised ankles, daily racing form, Horse Racing, kathy ritvo, Mucho Macho Man, Paulick Report, thoroughbred by Paulick Report Staff. Bookmark the permalink.